Goodness! Today was filled with a whirlwind of activities and errands so we didn’t have a ton of free time, but we still made a few stops to make sure to keep our commitment of at least one picture a day. 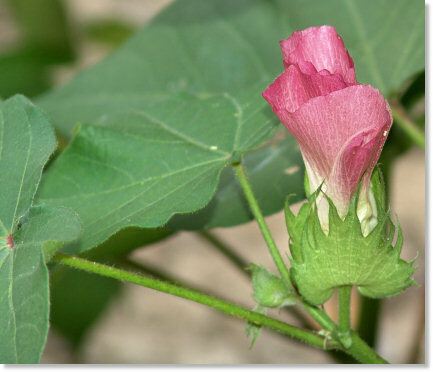 The flower blooms on a cotton plant are absolutely beautiful. 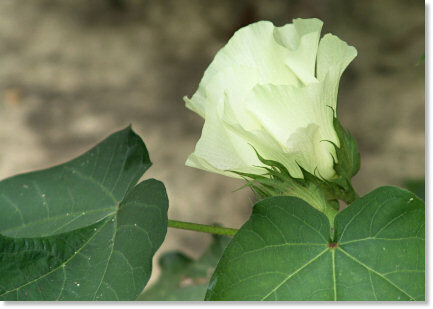 The first day the flower blooms are a creamy white. By the third and fourth day the blooms deepens to a deep pink. No matter how hard I tried, I knew I was going to end up taking a picture of the tall grass before I left the cotton field. Along the way we had to pass an old bait shop that serves some of the best barbeque sandwiches this side of the Mississippi river. It turned out to be way too difficult to drive past without stopping for a bite. Yup! 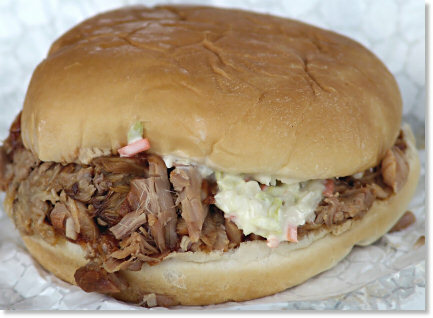 That is coleslaw you see on the sandwich. We have a few strange eating habits around these parts of the country. Hey lady! Do you think we’re stupid? 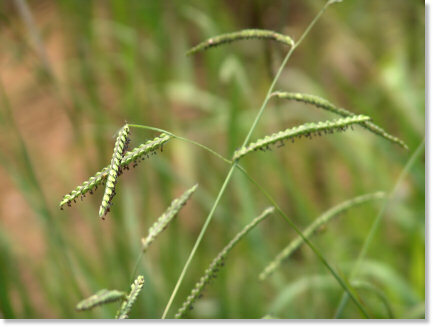 We have all the grass we need right here. How on earth do you plan on coaxing us up to the fence with a handful of grass? Howdy ladies! 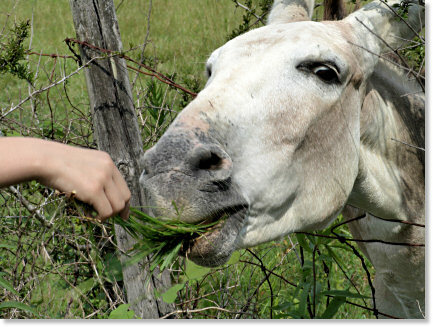 I may be just an old cranky mule, but I sure aint too proud to accept a handful of grass when it is offered! Hey camera lady! 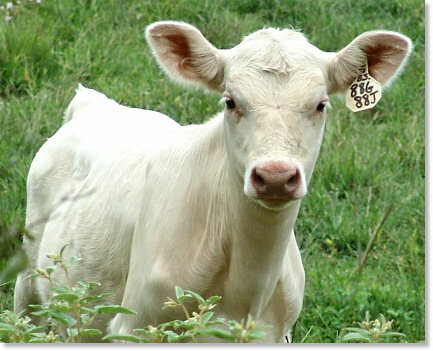 I know ya said you already have all the cow pictures you need, but when was the last time you saw a calf as cute as me? How about if I stand real still? Will ya take my picture now? Will ya? Will ya please? Awww… C’mon! Will ya take my picture? I don’t know which looks better, the plants or the sandwich. Did it taste as good as it looks? We have calves around here that beg to have their picture take too. Hard to resist. I grinned when I looked at the pair of horses. It wouldn’t take much to make it look like a 2 headed horse. I found a pair of calves like that last fall. 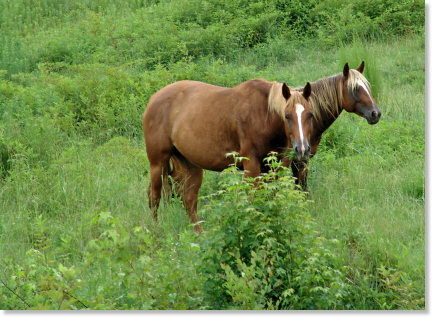 If you are into digital manipulation that calf might look good set into the foreground of the pic of the 2 horses. I’m hypnotized by the cotton flowers. Never knew about their color changes and of course you’ve captured the vibrant details! Love the horsies, mule and cow too, of course.